LPIA Names Starbucks’ Team Member 1st Quarter Customer Service Champion. Jameeya Joseph is a Barista at Starbucks in the US Departure Terminal! 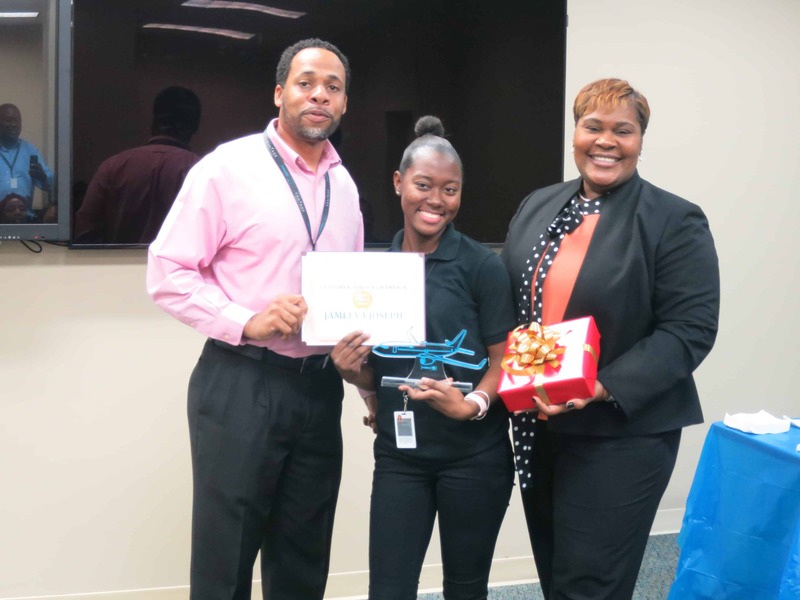 Focused on service delivery, Jameeya serves up the warm and uniquely Bahamian experience that makes LPIA a top airport in the region. She is pictured centre with David Adams, Manager, Commercial Operations and Charlotte Knowles-Thompson, Marketing Coordinator.